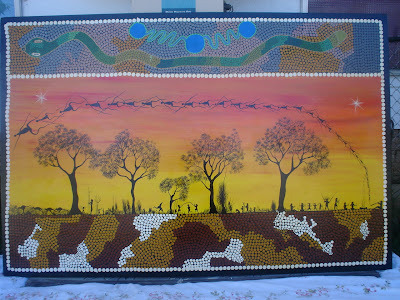 This work of art was completed by myself late last year, 2006. 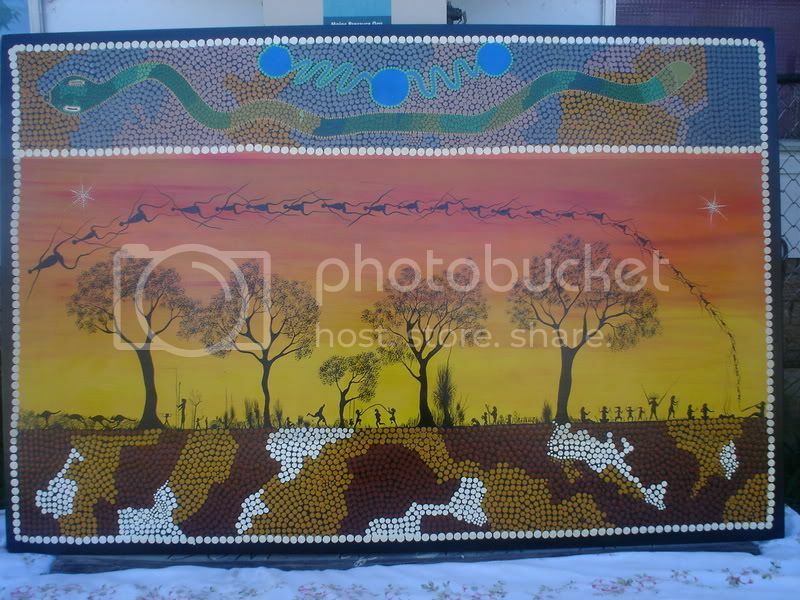 My friend kevin, from Corowa, commissioned me to do this painting for his BAR-B-QUE area, he and his wife loved it so much they put it inside and have added more to the sides updates comming. as well the story.